CHICAGO (WLS) -- The University of Chicago will add $100 million to enhance support for lower-income students. The university will hold a press conference Wednesday afternoon to officially announce the initiative. It includes a $50 million gift from Harriet Heyman and Sir Michael Moritz, and will go to students in the Odyssey Scholarship Program. Funds will also be dedicated to Chicago Public Schools students "with outstanding potential," the school said in a press release. The Odyssey Scholarship program is the University of Chicago's support program for students with the greatest economic need, and currently eliminates loans and academic-year work requirements for lower-income students. The program includes additional support for study abroad, academic enrichment and career development through paid internships, the university says. 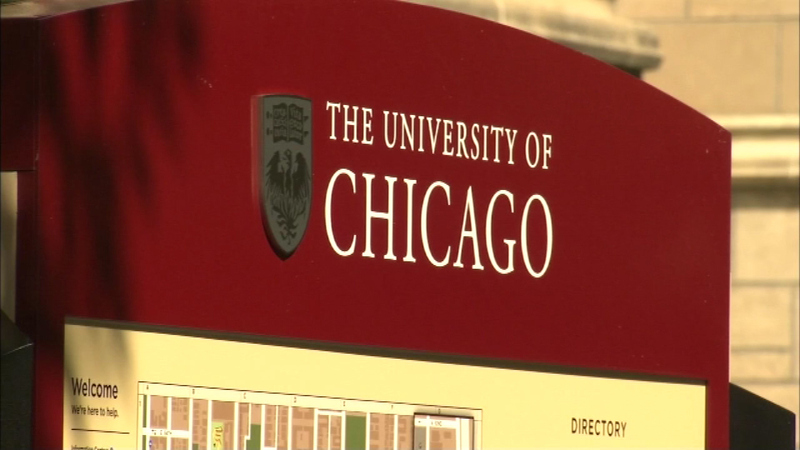 University of Chicago officials say the gift will also increase the number of students admitted to the Collegiate Scholars Program by 40 percent. That program works with Chicago Public Schools students to prepare them for the nation's leading universities. Heyman is a University of Chicago alumna, class of 1972, who grew up in the South Shore neighborhood and attended Chicago Public Schools. "Coming of age during the Depression, my parents didn't go to college. It meant a lot to them that I was able to get a good education. At that time, public schools provided a great foundation. And my parents, like many middle-class families then, could afford to send me to college. That is hardly the case for students from low-income families. We want to do what we can to reduce economic barriers for outstanding students equipped with grit and tenacity, which will serve them well in a demanding milieu like UChicago," Heyman said. Following the formal announcement, the university will hold a panel discussion entitled "Diversity, inclusion, Access and College Attainment" featuring former U.S. Secretary of Education Arne Duncan. The Odyssey program was started in 2007 when the university received a gift of $100 million from an anonymous donor known only as "Homer."